Chief Ako metamorphosed further in the songs of the great Rev. Martin Lurther King Jnr: ‘“We shall overcome one day, deep in my heart, I do believe we shall overcome one day’. For the people of Ette, that ‘one day’ has come today as dreamt by many. A dream I had dreamt that one day Ette will be free. At first, it was an incredible dream to me; at first it was an impossible dream but to me, but it was possible with God, whereby many doubting Thomases became believing Thomases”, he stated. The Chief also purred encomiums on the persons of late pioneer freedom fighters in the struggle for Ette freedom and justice who had died believing what they believed such as His Royal Highness Ameh Oboni, Ata Idah the first, HRH Dr. Aliyu Obaje, World War II Veteran Pa Edward Adejo, Sylvester Onogwu, and Barr Festus Ogwuche who introduced legal angle to the struggle. He also commended the roles played by others in the actualization of the Ette dream such as Mr. R. U. Audu, Late Senator Andrew Abogede, Hon. Abubakar Abutu, Hon. Atanu, Dr. Steve Achema, and Barr Ikani who propelled Ette case to the Supreme Court. He reiterated that there were numerous other individuals who had contributed their immeasurable quota to the to the struggle get back to her roots. The paramout ruler dedicated his staff of office to Almighty God, the youths and good people of Ette, traditional council chairman, HRH Alhaji Ademu (Agagu), HRH Micheal Salifu, Ochogwu of Ogugu (Dooga), Hon. 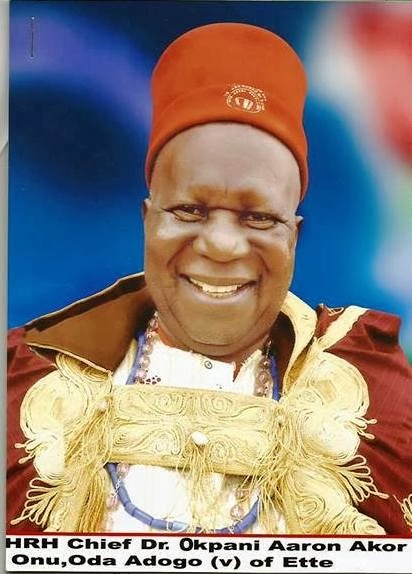 Yimusa Olofu, HRH James Ako, the Aidokanya Odari (Toodo) of Emonoja, Hon. Farouk Adejo, the Executive Chairman of Olamaboro Local Government Area, Hon. Farouk Adejo Audu, and the “Major” of Ette, Hon. Audu Sule (Awuse). In his valedictory speech, the Olamaboro Local Government Council Chairman represented by his Vice, Hon. Sunday Agala said that milestone and climax in the historical quest and struggle for Ette freedom had been achieved and the people had been re-united with their knith and kin in Kogi State. 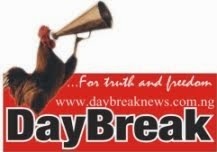 DayBreak Newspaper gathered that the struggle for the reunification of Ette people, from former Anambra now Enugu State, with whom they claimed they had no cultural ties, with their kith and kin in former Benue and now Kogi State, dates back to four decades and took several dimensions including self denial, open confrontation, military incarceration, legal battle (litigation) and appeal to the National Boundary Commission before this historic coronation.